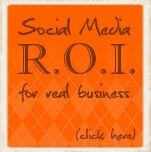 Some quick handy stats about social media and lead generation. 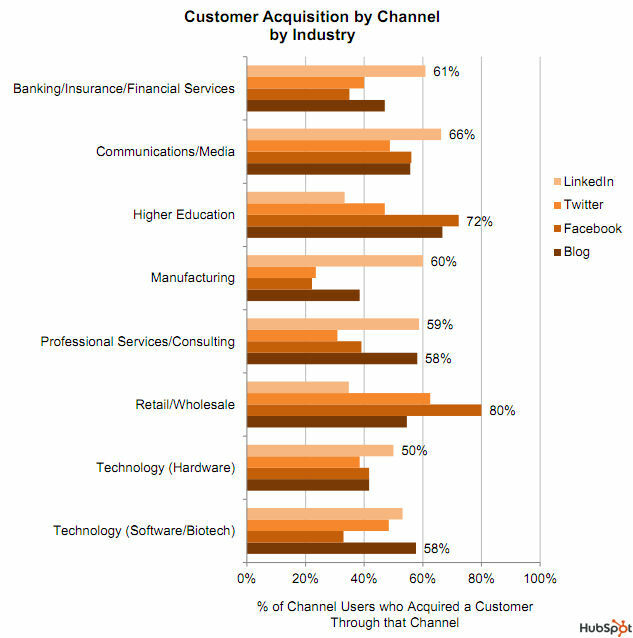 – 57% of companies using blogs reported that they acquired customers from leads generated directly from their blog. – Businesses are now in the minority if they do not blog. 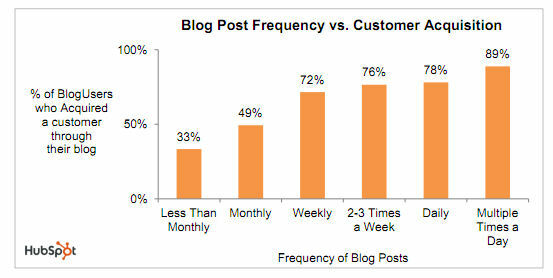 From 2009 to 2011 the percentage of businesses with a blog grew from 48% to 65%. – Businesses are increasingly aware their blog is highly valuable: 85% of businesses rated their company blogs as useful, important or critical. 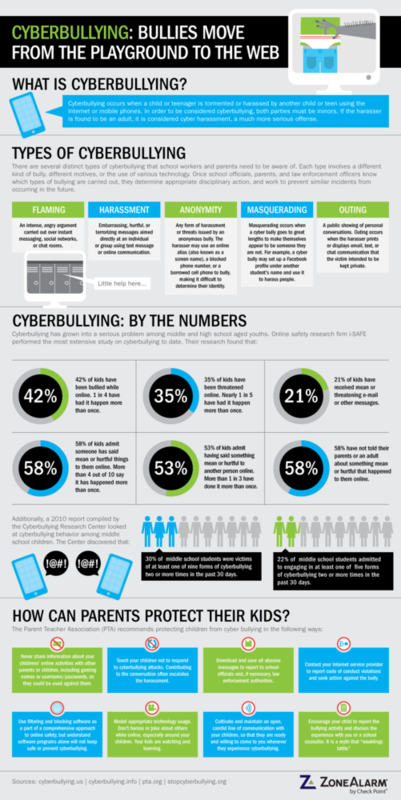 27% rated their company blog as critical to their business. 1. Not all channels reach maturity at the same time. 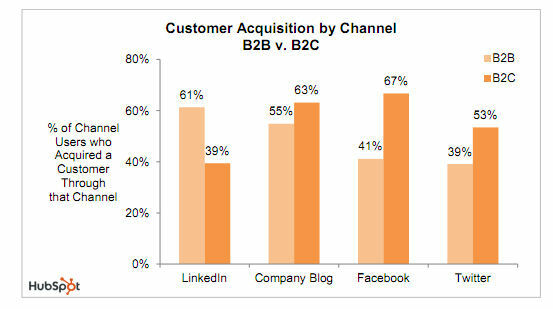 In 2 years, Facebook could be as strong a customer acquisition channel as LinkedIn is today. If that happens, you don’t want to be left out. And for a B2B business, 41% might not be as strong as 67%, but it is still nothing to sneeze at. 2. Hubspot’s figures are composites. Averages. 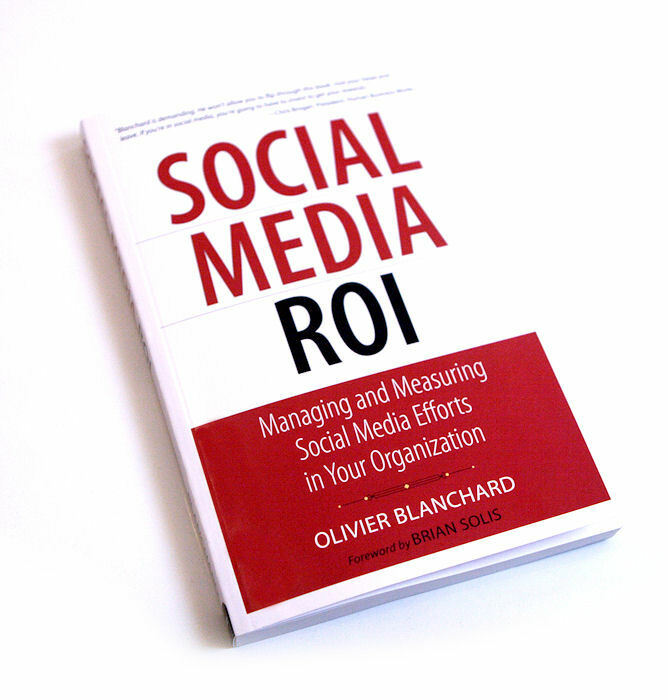 Since every business can use social channels differently, results will vary from biz to biz. A 41% average in this study doesn’t mean your business will see 41% for the same channel and outcome. Could be worse, could be better. Your success on a channel depends a lot more on what you do there than on the channel itself. Above: A breakdown by industry of which, among the four channels studied in this report, contributed to the most (and comparatively the least) customers acquisitions. 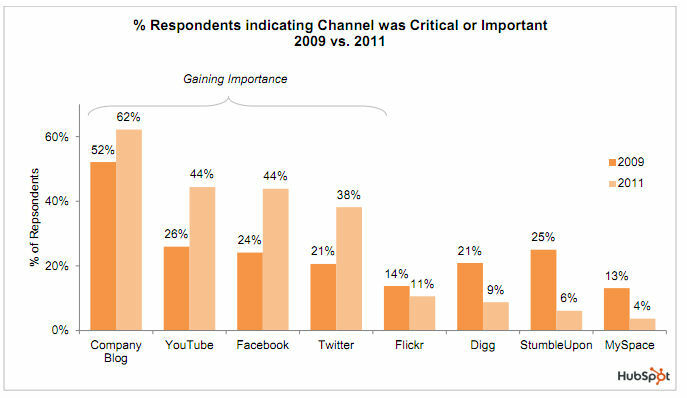 Below: The change in business perception from 2009 to 2011 in the importance of various key channels. This next chart illustrates a pretty radical shift in perception in regards to inbound marketing (in orange) vs. outbound marketing (in blue), with social media, SEO, blogs (somehow considered apart from social media?) and PPC outpacing trade shows, telemarketing and direct mail for mindshare. 62% of respondents agreed that social media had grown in importance in the last 6 months, vs. only 11% in support of telemarketing. The flip side of that question is illustrated above: Which sources of leads have become less important to you over the last 6 months? Though the clear losers are direct mail, trade shows, telemarketing and PPC (22% see PPC as more important while 25% see it as less important), the winner, in spite of its position on the far right of the chart with a 10% response, is not SEO. The winner, boys and girls, is Social Media. Why? Because since 0% of respondents saw it as less important to them, it doesn’t even show up on the chart. It won’t come as a surprise then, that companies taking part in this survey have also indicated a drop in (outbound) direct mail, trade shows and telemarketing budgets, and an increase in (inbound) blogs, social media, SEO budgets. – Inbound marketing-dominated organizations experience a cost per lead 62% lower than outbound marketing-dominated organizations. 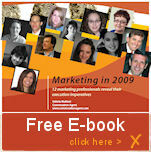 – In 2009,inbound marketing had a 9% greater share of the lead generation budget. In 2011 its share is 17% greater. 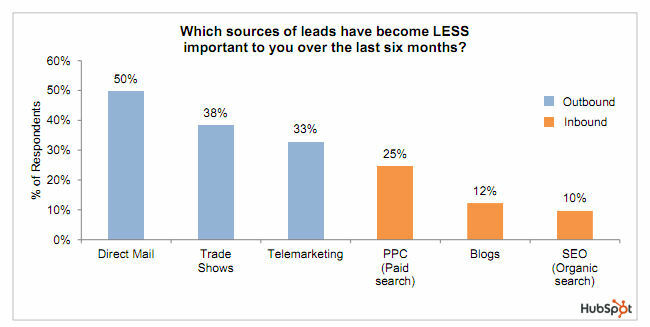 – Blogs, social media and organic search maintain the top slots as least expensive lead generation channels. – 89% of organizations surveyed are either maintaining or increasing their inbound marketing budgets. – At the start of 2011, small businesses (1 to 5 employees) planned to spend 49% of their lead generation budgets on inbound marketing. In comparison, medium-to-large businesses (50 or more employees) only planned to spend 36% of their lead generation budgets on inbound marketing. – Small business are only giving 10% of their budget to outbound, while medium-to-large business are allocating 28% of their budget to outbound channels. – If a company blog is underutilized, you are leaving customers on the table. 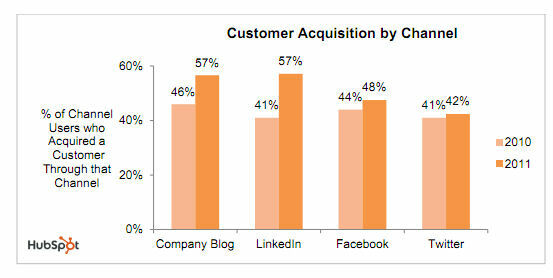 The 2011 survey shows a direct correlation between blog post frequency and new customers acquired. Lots of handy insights. Check out the full report here. 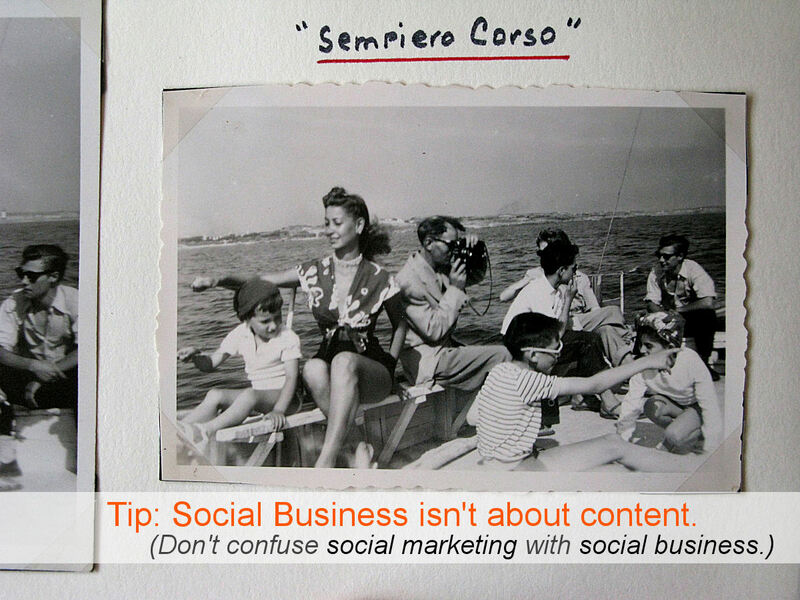 Social Business vs. Social Marketing: Understanding the fight over “content”. Let me preface this short post with the catalyst behind it – this article by Sarah Shearman for Marketing.co.uk: “Content key to marketing in social media says P&G exec.” Let me throw a few bits and pieces of the article your way, and we’ll get started. Content is the best currency in social media, according to Usama Al-Qassab, e-commerce marketing and digital innovation team leader at Procter & Gamble. “There is so much content out there that is great and excellent, [but that] does not mean anyone will be able to even see it. The only way you can get people to see things and talk about things is by giving them a big push. Everything, whether it be business cards, letterheads, the website, the TV advertising, should all drive to one specific thing you want people to do. People don’t talk about things because they think they are great, they talk about them because they think they ought to, or because other people talk about them. Popular things get more popular, as a result of being in the public eye. It is about driving the content and hoping to get additional benefits, when people start getting involved.” – Nick Butcher, global head of social media and digital innovation at ZenithOptimedia. First, let me begin by saying that I have absolutely no problem with what is now called creative/content, or even a proper focus on it. Content is important. 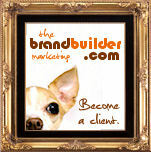 It helps communicate to consumers the value and advantages of buying a product or service. It makes consumers discover, desire, crave, and develop a preference for a product. Now, more than ever, content is easy to share, which ads to its value and power. Content also pulls people to websites, which is pretty damn important if you are trying to keep consumers interested and/or primed to visit websites and click on buttons. For these reasons, content is at the core of all things digital marketing, and great content is worth its weight in gold. You will get absolutely no argument from me there. All of this is true. But here is where experienced marketing executives around the world – including pretty brilliant guys like John, Nick and Usama – fall into a common trap: Mistaking social media channels for marketing channels. The problem is simple: Marketing professionals see the marketing opportunity in these powerful new channels – as well they should. Their reflex is to do what they know, which is to adapt their marketing thinking to the social space: shift some of their communications, strategies,creative and content to the Facebooks, Twitters and Youtubes of the moment. It’s their job after all. It’s what they know. “Push” has always worked everywhere else, therefore it will work in the social space as well. (And in spite of what social media purists claim, “push” does work quite well on social channels. Ask Dell and Old Spice, for starters.) The problem, however, is that digital social channels are not solely marketing channels. In fact, they are mostly not marketing channels. They are social channels (hence the nomenclature). As such, they favor dialog rather than monologue. Publishing content and creative might be seen as a conversation starter, but it is not in any way, shape or form a dialog. It is a monologue through and through. And there is the rub. The easiest way to illustrate the problem is – as always – with a silly picture of old white dudes in suits sitting around a table. This begins a chain reaction of tactical thinking in which “content” – whose importance to the marketing function (on and off the web) is without question – becomes the core component of marketing-driven social media programs: If “content is king” for marketing on and off the web, then content must also be king for marketing in social media channels. If you have ever wondered why “content” was such a recurring theme and point of focus in the social space – when it clearly doesn’t need to be, this is why. What you are looking at in the above image, and what you are hearing from John, Nick, Usama and their peers isn’t representative of either social business or a social media program for business. What it illustrates is limited to social media marketing: The traditional marketing function adapted and applied to social media channels. 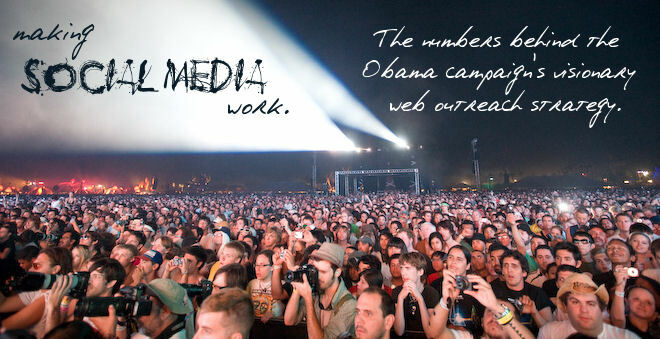 This world view reflects a belief that social media management is primarily a marketing function. This view point is of course a little too limited to work super well in a social medium, where people value non-marketing interactions at least as much (if not a lot more) than marketing-related ones. The above image reflects the nature of social business. 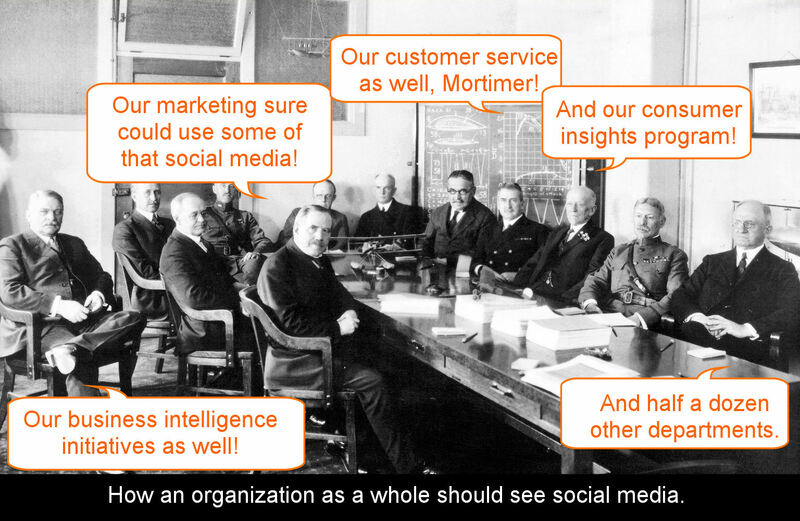 This multi-functional approach to social media, marked by the adoption of social channels by all functions and departments across an organization, stands a much better chance of yielding results in a space that is not inherently marketing-focused (and can be, at times, openly hostile to overtly marketing-focused exploitation by companies that haven’t yet thought things through). 1. Pragmatically this is done to gain a competitive advantage, or – because the more value an organization creates for its customers, the more win becomes associated with its reputation. 2. From the consumer side, as long as the organization driving such a program seems to be genuinely interested in improving the lives or the experience of people it comes in contact with, as long as it seems to want to foster a relationship with them that isn’t automated, that is as truly human and genuine as an old fashioned handshake or a kiss on the cheek or a warm and honest hello, this business socialization activity won’t come across as one-sided and self-serving. This is important. Sometimes, the best marketing isn’t marketing at all. It grows out of the personal connections that happen between the impression and the purchase, the thousand little personal interactions that happen between the purchase and the coffee shop, and the bonds consumers form with human beings around them. These human beings can be fellow customers of Brand x or employees or Brand x, or perhaps future customers of Brand x. For the purposes of this piece, let’s just focus on employees of Brand x. Thus, having your marketing department push content all day long via Facebook pages and Twitter accounts and Youtube channels basically amounts to executing a simple social media marketing strategy. It doesn’t build anything. It doesn’t stick either. It’s just marketing spend at a lower cost and with a higher content velocity. Not bad, but that won’t get you very far in the social space. We have seen how Marketing, advertising and PR all tend to focus on content in and out of social channels and why. (And again, there is nothing wrong with that.) Now, let us briefly look at a few other functions that can find a profitable home in the social space that require zero content creation, publication or curation. There are more, but you get the idea. None of these are particularly “content” driven functions, are they. Yet… “content” is supposed to be at the core of social media programs, right? An emphasis on “content” in social media and social communications is simply code for “we think of social media primarily as a marketing channel.” It clearly needs to be treated as far more than that. Organizations whose executives come to believe that “content” is key or central to social media success, equity or potential are making a grave mistake: Content doesn’t in fact drive engagement, traction or success in social media. “Content” drives marketing and responses to marketing in social media. As important as that is, we all have to be realistic about the limits of this kind of approach. Realistically, content doesn’t drive customer service, crisis management, reputation management or market research in social media, nor does it drive conversations about customer service, crisis management, reputation, market research or even shopping experiences about a brand in social media. Since these and other key business function are principal building blocks of every successful social media program (for business), you see how an emphasis on content can hobble an organization’s social media program right from the start if its importance is mistakenly overstated. Old media was 100% about messaging and distribution. Marketing was a monologue, primarily because the media used by marketing didn’t give consumers a voice. Viewers didn’t talk back to brands through their TV. Listeners didn’t talk back to brands through their radio. Billboards, print ads, posters, point of sale displays, coupons and even Web 1.0 websites functioned the same way: You created the message and pushed it out. The channels were basically one-way pipelines with marketers at one end and consumers at the other, the latter being the receiving end. Social media channels are very different. Dialog rules in the social space. Marketing is at best suspect, and tolerated only if it doesn’t come across as exploitation of the channel by a company. Moreover, marketing in social media is permission-based: Too much marketing, or the wrong kind, and social media denizens will disengage from an offending brand. The wrong approach in these social channels can even do more harm than good for a company that forgets to treat consumers like individual human beings. Though occasional monologues and messaging can find their place in the social space within a healthy mix of engagement activity, an operational emphasis on any kind of marketing monologue doesn’t work. Put simply, companies need to stop shoving “content” through social media channels like sh*t through a goose for ten seconds, take a step back, and start placing as much – if not more – emphasis on listening to consumers in order to then respond to them and begin a process of socialization. That is at the core of true engagement, and the fuel that will drive companies’ loyalty engines in the social space. The recent emphasis on content creation and publishing isn’t helping companies engage better. Instead, it is creating a wedge between brands and consumers. A wall of noise, even. It has become terribly counterproductive. 2. Saying hello or thank you doesn’t qualify as content. By the same token, having a conversation with someone is not content creation or curation. Responding to customer service requests via twitter is not content either. In fact, the more your communications resemble a conversation or dialogue, the less your communications qualify as “content.” The flip side of this is that the more focused an organization is on content when it comes to its social media presence, the more anti-social it will appear to be. Now, for the sake of disclosure, I should point out that I know Kamran Popkin (@swagclub). We are both members of Social Media Club Greenville and fellow mischief-makers. He had a hand in getting me to the BMW driver school a while back, which was a pretty awesome thing to do. And yes, Kamran and I have become fast friends over the last two years, mostly because he’s a straight-up guy, fun to be with, and he too is a major Steven Pressfield fan (always a good sign). I trust, respect and like him. When we aren’t drinking really good sake, trading sushi war stories or making soap over on Paper Street, Kamran, being the business samurai that he is, likes to show me, rather than just tell me, what kind of impact good swag and a personal touch can have. That’s why he routinely sends me cool stuff in the mail. 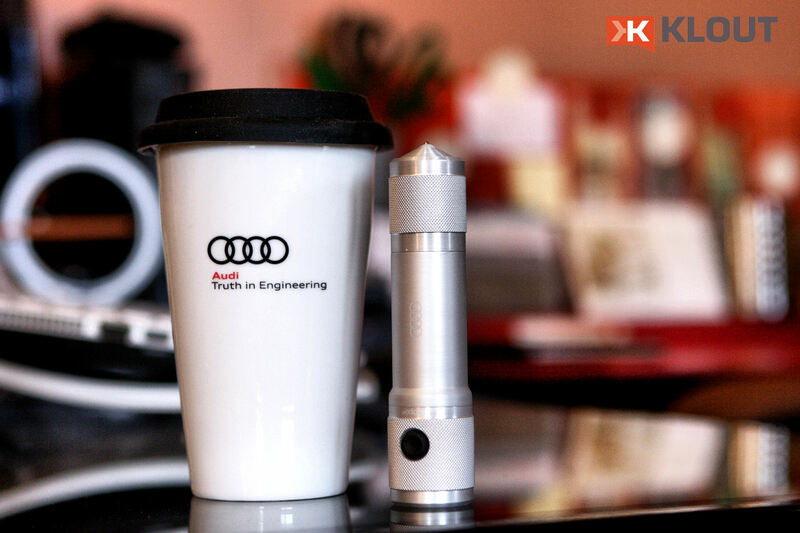 My package from Audi/Klout Perks earlier this week reminded of how effective Swag Club’s personal touch really is. It’s the little details that make all the difference: You can treat your relationship with potential customers and “influencers” as merely a numbers game, or you can focus on building lasting relationships with people you want to bring into your cool little business universe. 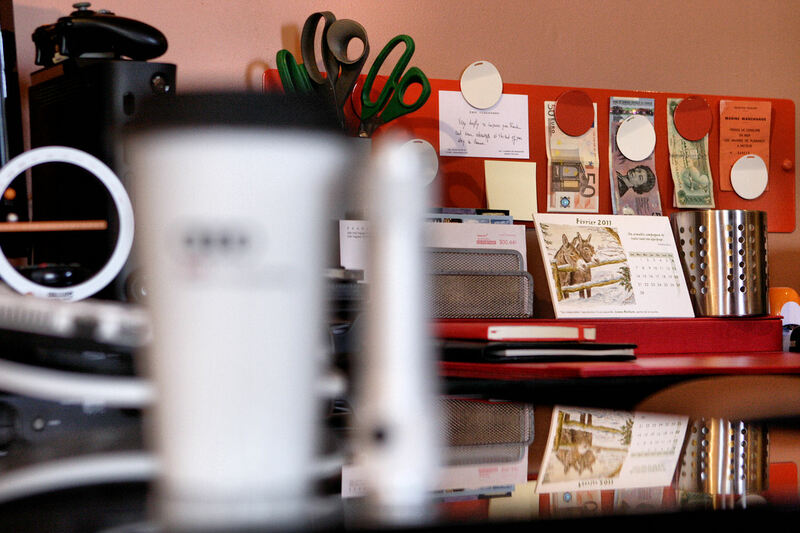 Let me let you in on one of Kamran’s little secrets: He doesn’t want customers or clients. He just wants to do business with people he likes. His funnel is built to only attract people he can have fun with. His business circle caps off at 149 people. That’s it. If you want in, you have to earn your spot. And trust me, you want in. Being one of the 149 is something none of us takes for granted. We’re part of a tribe of miscreants and instigators. We’re all in on the same inside jokes. We are a real community, bound by the same thread. The free stuff has very little to do with it. It’s a vehicle, nothing more. The difference between a company that puts its logo on koozies and key chains, and a company that uses perks and swag to build relationships may seem imperceptible to the average person, but it is crystal clear to those of us who find ourselves touched by the latter. Exclusivity is part of it. Feeling valued as a human being is another. Kinship and like-mindedness are never far. These are some of the elements that help build strong communities and word-of-mouth movements. Before sending gifts to “influencers,” remember that the end-game isn’t the mailing of a box. The end-game is the development of a community of influential evangelists. This is a key insight that EVERY advertiser partnering with Klout Perks needs to learn and think about. And beyond building the kind of internal culture that both fuels this type of thinking and drives effective outreach programs is a basic methodology – a framework, if you will – that can be broken down in five simple lessons. 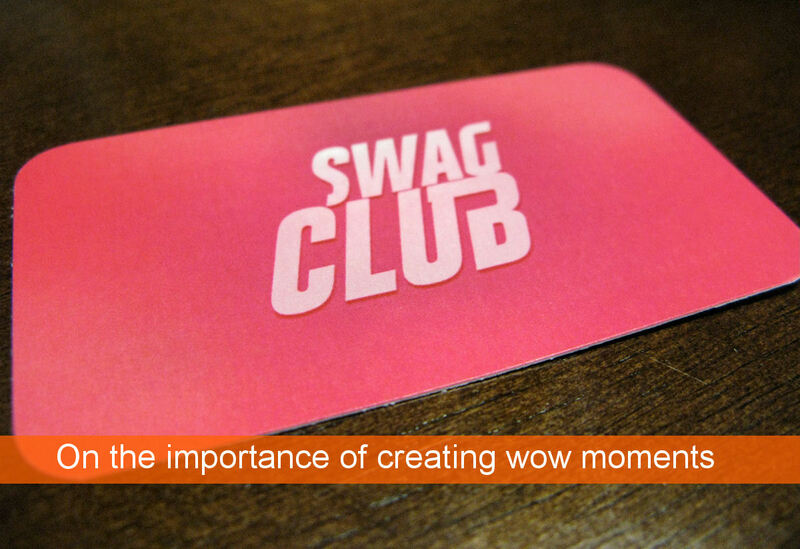 Swag Club follows them with Swiss-like precision, and the results speak for themselves, which makes me wish I could somehow bring Kamran and Klout together to build a playbook for every new Klout Perks partner. 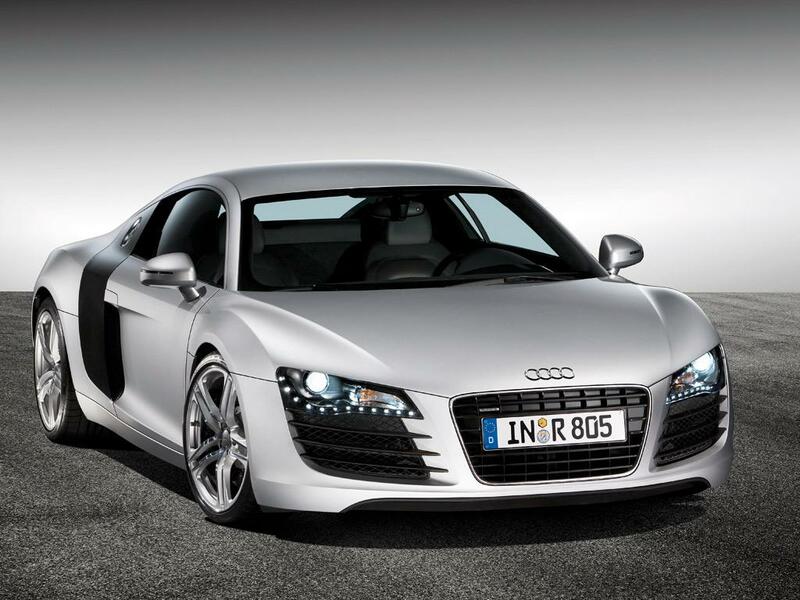 Audi could have sure used a little Swag Club flair this past week. Imagine how cool their promotion would have been if Mr. Popkin had been involved in the project somehow. 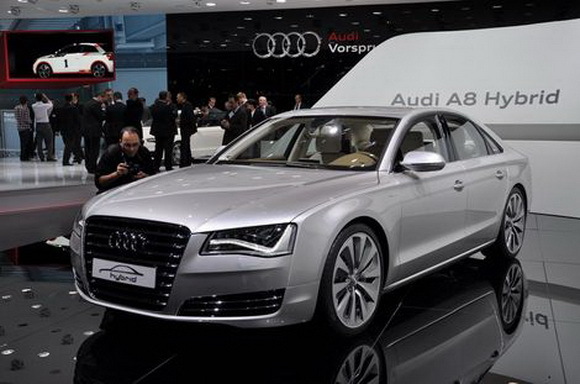 All 830 of us might be enthusiastically selling Audis to everyone we run into well into 2015. Why not. Which do you want to be? Which do you think will yield the results your company is hoping for? Who’s in charge here? 2. Always include a personal note. 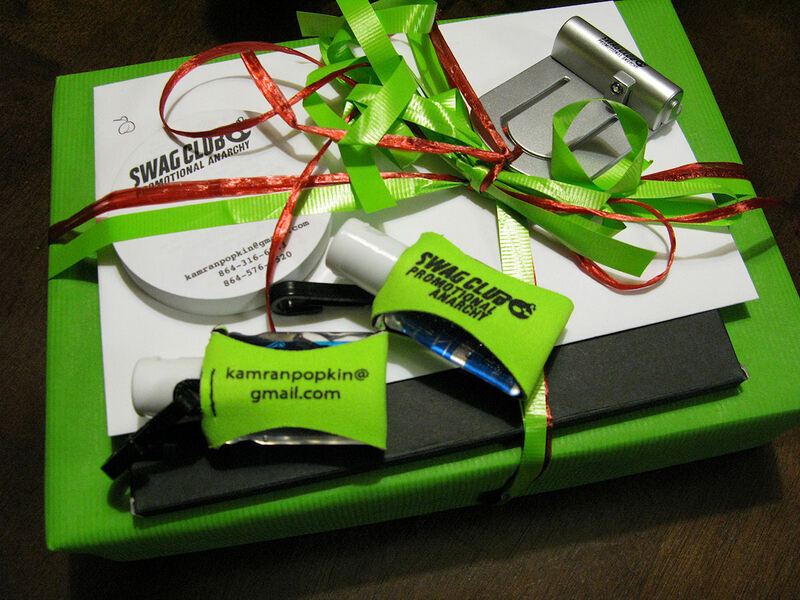 Here is the kind of note Kamran sends with every Swag Club package, along with the flip side of his business card. Note to every company sending swag and goodies through Klout Perks rewards programs: Write a personal note. Sign it. Put your Twitter or Facebook thingamajig on it. Don’t just have a guy in a warehouse somewhere pack stuff in a box. This is where the real gold is. Trust me, nobody cares how big and bad your new koozie is. We’ll grow tired of it after a few minutes. You want to influence an influencer? Become his friend. His brother. Invite him into your tribe, and make him want to extend the same invitation to you. And no, you can’t outsource this. Invest in a good pen and actually write these yourself. That’s what makes them special. That’s what gives them their magic. There is no corner-cutting here. Remember: You aren’t sending this stuff to 10,000 people. If you get it, you are sending it to just a few dozen. Nothing says “you’re important to me” like a generic coffee mug trapped inside a plain dusty brown box. Don’t go there. See the laser etching? Notice that it isn’t just about the “influencer’s name but that there is more there. The whole “instigator,” “Space Monkey” and “member #149” references have meaning. It’s the inside joke, the secret handshake. Simple stuff, but it works. What Swag Club manages to do here that Klout doesn’t is create a bond between itself and the person it is trying to build a relationship with. What a bespoke swag/perk says is “not only do I care enough to present this to you with a little finesse, not only do I care enough to throw a little personal note in there for you, but I also care enough to give you something that is just for you. Something with your name on it. Something that will forever be uniquely yours. The term “talisman of friendship” comes to mind. This isn’t marketing, folks. This is relationship building. It’s evangelist development. This is the sort of thing that requires a little more care than the odd mass mailing. Do it right. If your budget doesn’t factor in fancy laser etching, custom embroidery or velvet paintings, consider decals. 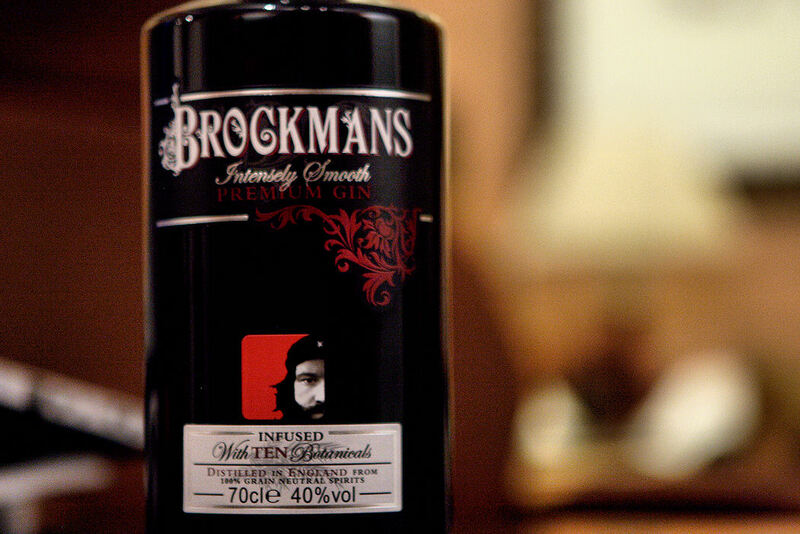 See what happened with this bottle of Brockman’s gin in the image below? It might not last as long, but the swag doesn’t have to be long-lived. It just needs to make a lasting impact. Yes, that’s a decal of a Twitter avatar, stuck to that bottle. Here is an inexpensive way to turn just about any kind of gift into instant swag, and do it in a memorable way. And like every great signature, it is also an invitation to connect. Creating “wow” moments isn’t just about bling, perks and VIP treatment. First, you want to build anticipation and excitement. Then, like any good showman, you want to surprise and delight. There’s a little undercurrent of misdirection here that you need to get good at. Make your new friends pay attention to the left hand while you prepare the surprise with your right. Make them think they know what to expect, then surprise them with something even cooler. @SwagClub: “Are you in town this week?” Me: “Yep.” @SwagClub: “Good.” That’s it. That’s all it takes. For the next 2-3 days, I watch my mailbox like a hawk. If a FedEx or UPS truck drives within three miles of my house, I somehow hear it. When the package finally comes, I know it could be anything: Some new Space Monkey business cards. Fake tattoos. Project Mayhem decals. 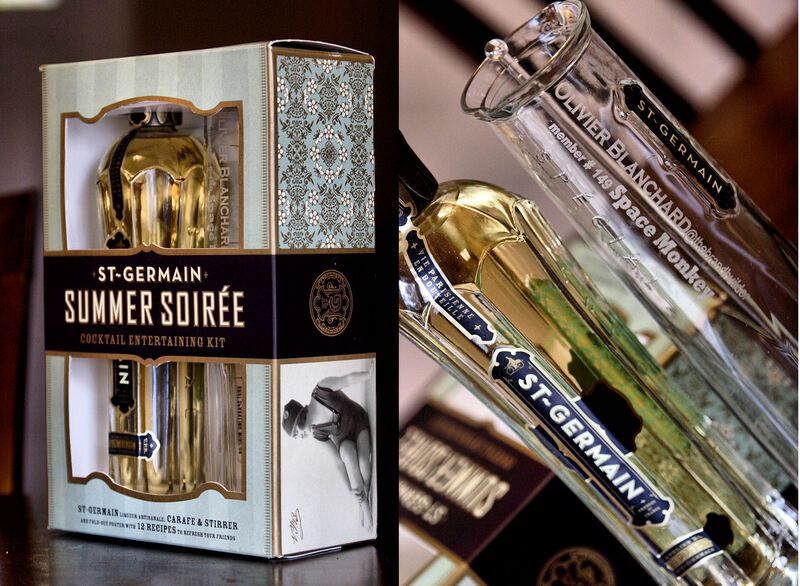 A bottle of French liqueur with a bespoke tumbler. A Russian bride. Who knows? Whatever it is, the element of surprise always works in Swag Club’s favor: I am never underwhelmed. How this applies to Klout Perks promotions: If your campaign discloses that participants will receive a bag of chocolates, don’t just send them a bag of chocolates. Send them something else too, like movie tickets, or a gift card, or a custom sock monkey designed by your creative director. Something. Anything. Surprise them by upping the ante. Overwhelm them with something cool and unexpected. Make an impression. You aren’t done once the “influencer” has received his or her perk. That was just the beginning. Now comes the relationship-building time. Now comes the regular chats on Twitter or by email or by phone. You want to invest in influence? You want to build a small army of highly connected word-of-mouth evangelists? Make it about more than the gift. Trust me. You want to build the kind of good will and mutual respect that will last longer than a week. Otherwise, you’re just another koozie panderer. Your stuff will hit a landfill inside of six months. Where’s the value in that? 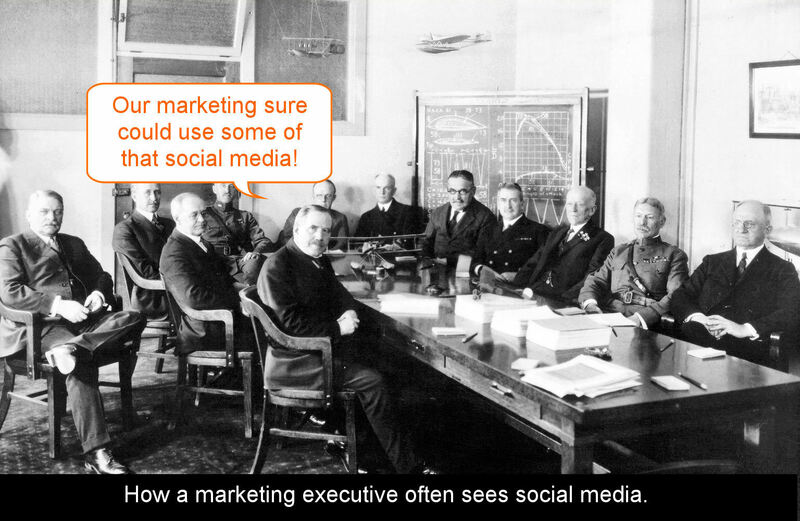 You know how we like to talk about best practices in social business and community management? When it comes to the new digital influence game, you don’t really have to look much further than this. 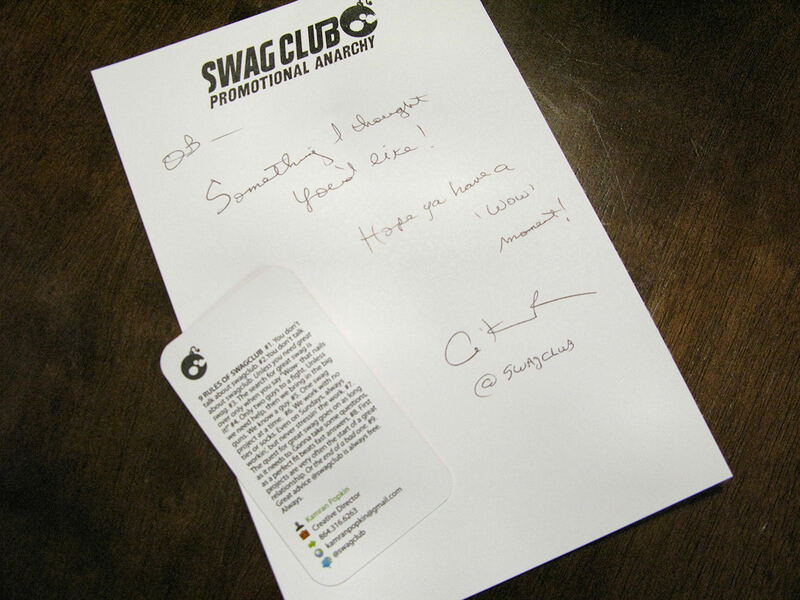 @Klout, if you’re listening (and I know you are), consider reaching out to @SwagClub. If you guys can put together some best practices or guidelines for your Perks partners following this general methodology, both the relevance and longevity of your perks program will be assured. I can almost guarantee it. Think of the possibilities. Yesterday, we redefined the term “follower” on Twitter and in doing so, discovered that followers are in fact not hapless little ducklings in search of a mama duck but actually community managers in their own right with a tremendous amount of power when it comes to helping brands gain traction in the social web (and particularly in communities like Twitter). Now that we’ve covered that subtle yet fundamental topic, let’s look a little more closely at the two main strategies behind engagement: Breadth and Depth. Breadth and depth are essentially opposite sides of any reach strategy. One focuses on quantity while the other focuses on quality. So in essence, a breadth strategy would look like this: 100,000 people on Twitter mention Brand X on a regular basis. The Social Media director for Brand X sees in these 100,000 people a vibrant yet untapped community. In his mind, reaching out to every single one and getting them to “follow” Brand X on Twitter would be a great thing. By doing so, that community of 100,000 fans would have access to the Brand X feed, have the opportunity to engage with it, spread their love, RT content, ask questions, etc. And that rocks. But the flip side of that is Brand X only has a team of 3 people managing their online communities, and that isn’t enough to truly engage with 100,000 people. So what ends up happening is: While Brand X has a community of 100,000 “followers” on Twitter, its staff just can’t create deep connections with more than a few dozen of them. So by spreading itself too thin, Brand X might come across as having very superficial “engagement” on Twitter: Lots of followers, but not a lot of meaningful interaction. That doesn’t rock, and it evidently scares a number of companies looking to truly connect with their fans in Social Media. The flip side of breadth is depth. On Twitter, a focus on depth looks like a private party: Small numbers, a tiny community, but lots of interraction between a brand and its relatively small numer of followers. The idea here being that engagement is about building relationships and true,lasting emotional connections. Numbers are the enemy here since you just can’t be “friends” with more than a few hundred people anyway. So in essence, a depth strategy would look like this: Out of 100,000 fans of Brand X on Twitter, Brand X chooses to only truly engage with a few hundred (or a few thousand). That’s a manageable number, and any more than that would get in the way of “true” engagement.So what rocks here is that those folks with whom Brand X truly focuses on are going to feel ultra special about their relationship with Brand X, and that’s pretty solid. But what happens to the other 99,000 or so fans Brand X chooses not to engage with? Well… hopefully, they can talk about Brand X amongst themselves and be perfectly happy. Better yet, maybe the chosen few will go out and evangelize Brand X to the other 99,000 as… good will agents of Brand X. They have big networks anyway, so why not create a tiered system of influence within Twitter? But see… that doesn’t really work. The reality of having too narrow a depth strategy is that the other 99,000 fans feel disenfranchised by Brand X. They feel ignored. Worse yet, they opt out of following Brand X and engaging with it on twitter because they find no value in what Brand X is doing on Twitter since they don’t seem to be on the Brand X radar anyway. The result of either too rigid a depth or breadth strategy is a stalled overall engagement strategy. On the one hand, you get numbers without purpose or value. On the other hand, you get an exclusive clique effect that doesn’t scale enough to matter. Neither is a good outcome. Too much breadth = 500,000 followers out of 500,000 fans but interactions with only 20 of them per day and zero impact on anything relevant relating to your business. Too much depth = Only 5,000 followers out of 500,000 fans. Outside of your core fans, either nobody knows you’re here or nobody cares. Strangely, I still see a good number of companies choosing to focus on either breadth or depth when they should instead combine both. And frankly… I wonder why any marketing professional would ever make that mistake when it’s so clear that in order to really have an impact, you always have to combine the two (not just in social media but in most other areas as well). Unless your brand is about exclusivity (Ferrari, Cartier, Ferre) “engagement” can’t stop at your core customers. Not in Social Media, and certainly not on Twitter. Without some measure of breadth, depth becomes an exercise in navel-gazing. It becomes an echo-chamber. It goes nowhere.You end up chatting with your clique every day and congratulating each other on a job well done. Great. Awesome. Except… not. Without some measure of depth, breadth becomes an exercise in scale without impact: You may have an enormous following, but what is it doing for you? Nothing? Ooops. It’s back to the drawing board for you. So… if you are a major consumer brand with an engagement strategy in the Social Media space and your hundreds of thousands of followers don’t move the ball for you in some way (increased WOM, increased traffic to your website(s), increased conversations or social mentions, increased traffic to your stores, increases in transactions – remember FRY?) then you’re wasting your time “collecting” followers instead of truly building a community. Likewise, if you are a major consumer brand with an engagement strategy in the Social Media space and in the last 12 months of activity in the space, you’ve only managed to attract 5,000 “followers” out of your 500,000 active fans and customers on Twitter, somebody’s playing too much golf or computer solitaire or something. Your “engagement” program is barely on autopilot. If your goal is “engagement” and you ignore the majority of your fans , you’re completely missing the boat. First: Whatever you’re doing, it isn’t creating value or relevance, and you are failing in that regard. Second, if you aren’t reaching out to your fans, acknowledging them and making new connections every day, you just don’t understand what engagement is about. Repeat after me: Engagement without reach doesn’t work. So the key to successful engagement in Social Media, especially on Twitter is to combine breadth and depth in a way that makes sense, and in a manner consistent with the overall goal of the strategy. Reaching out to 100,000 fans doesn’t mean all 100,000 want to chat with the Brand X team every single day. Some will engage daily. Others will engage weekly. Others monthly. Many more won’t engage at all. They’ll just listen and share and be happy to be part of the community without being particularly active. Some will crave more attention than others. It’s okay. Let your fans, your “followers,” you community tell you how much engagement they need. Let them tell you what kind of engagement they want from you. Every single person is different. There is no cookie-cutter model for engagement that works for every single person who’s a fan of your brand. Don’t sweat the depth vs. breadth. Work on both. Measure both. But most importantly, LISTEN to your fans. Invite them to join you on Twitter. Give them a reason to “follow” you so that you can have that kind of dialogue and feedback. Follow them back. If many never drop by to say hi, that’s okay. Let them dictate the pace and mode of the engagement. So stop worrying about too much or too little, stop worrying about depth vs. breadth, and just reach out. Set up shop on Twitter, listen to what is being said, introduce yourself to folks who seem to care about you (Brand X), and start there. When people say hi, say hi back. When people ask a question, answer it. When people pay you a compliment, say “thank you.” When they complain about something, try to solve their problem. When you have something cool or valuable to share, share it. When someone wants to talk to you about their cat, count that as a blessing and understand that in that interraction lives the very essence of the bond between you, the brand you are paid to represent, and the person sharing something personal with you. This is invaluable. The conversations and relationships you foster on Twitter don’t just stop with the medium. They cross the digital/real world barrier. What happens on Twitter translates into people’s perception of you in the real world. So like the old commercial says, get out there and touch someone. 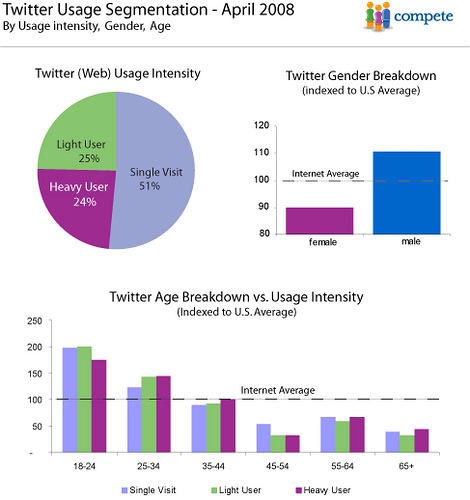 Be a courteous, engaging Twitter host, and make your time in social media count for something. You’ll be glad for it. Bonus Section: Outtakes from this morning’s failed video shoot. The best business e-book so far this year. 1. Valeria Maltoni (of Conversation Agent, Marketing Profs and FastCompany.com fame) was the mastermind behind the project. “For all the talk of measuring “engagement” and “brand valuation,” the value of any tool (social media or otherwise) to a classically trained MBA boils down to a simple question: “How does this impact my P&L?” In other words, “how will this impact my business? Please answer in terms of dollars.” Fact: Until you can demonstrate that Social Media tools can yield some type of measurable impact on the health of a business, you won’t be getting much traction. Download the book, print it, read it, make copies for your colleagues (or even your boss), forward it to friends… but most importantly, give what we shared with you some thought… and try to find at least one thing to act upon today. Your customers will thank you for it! On a personal note, very VERY special thanks to Valeria for giving me an opportunity to have my name printed next to such brilliant marketing thought leaders. Pretty cool stuff.